HYDRATE brings moisture and replenishment to dry hair. STRENGTH CURE helps to strengthen and repair micro-scarred, damaged hair. 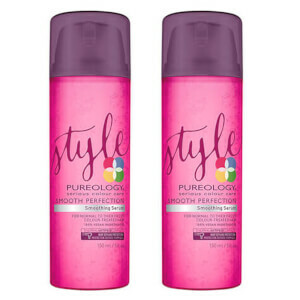 HAIR PERFECT 4 PLATINUM fortifies fragile blonde and colour treated hair. 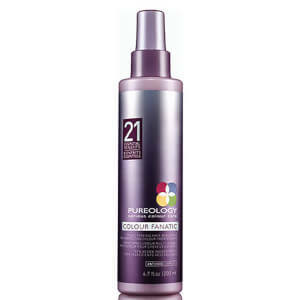 COLOUR FANATIC for a 21 – Benefit Multi – Tasking Hair Beautifier. PRECIOUS OIL to intensely soften rough, brittle hair. PURIFY to cleanse, clarify and remove build up. 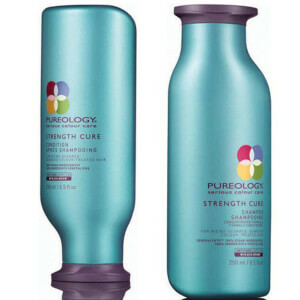 Pureology is the number 1 professional colour care brand. We were born in California in 2001, with a simple but powerful idea: to create the very best products for colour treated hair. Offering no-compromise colour care, the dual benefit formulas keep hair colour vibrant for longer plus treating the hair to whatever else it needs. We led the way in creating products made with purity and good health in mind, and we pioneered the “no nasties” movement with our sulphate free shampoos and 100% vegan formulas. Our signature aromatherapy fragrances give every Pureology user an indulgent experience while protecting their haircolour. Word quickly spread and our brand became a beauty editors best kept secret, loved by expert colourists and clients alike. All the way from California, PUREOLOGY is the number one colour care brand in America, delivering gentle, naturally-based products that provide superior performance for long-lasting hair colour.